Saturday afternoon started with a fun 20th anniversary celebration of the 1998 Yankees and ended with an 11-6 win over the Blue Jays. There were some bumps in the road along the way, sure, but a five-run win is a five-run win. Pretty easy, all things considered. The Yankees came out and did exactly what they should’ve done against rookie Sean-Reid Foley, who was making his second career start. He pitched in five separate innings and allowed at least one run in all five. A Brett Gardner walk and a Didi Gregorius home run gave the Yankees a 2-0 lead in the first and Austin Romine stretched it to 3-0 with a second inning sacrifice fly. They were all over Reid-Foley. The game was really broken open in the third inning. Miguel Andujar split the left-center field gap for a two-run double in the fourth — it was his 36th double of the season, easily the most among all rookies (Brian Anderson and Niko Goodrum are second with 26 apiece) and tied with Mookie Betts for the fifth most among all players — and Greg Bird added a run-scoring ground out. The lead swelled to 6-0. The Yankees were not done. Giancarlo Stanton and Andujar added solo home runs in the fourth and fifth innings, respectively, which gave the Yankees an 8-0 lead. Which one of the two is hotter right now? Stanton is hitting .324/.395/.761 with 15 extra-base hits (seven doubles, eight homers) in August. Andujar is hitting .338/.365/.718 with 13 extra-base hits (six doubles, seven homers) in August. Doesn’t really matter who’s hotter. They’re both awesome and they’re both Yankees.
? Also, the milestone watch is on. Stanton is now sitting on 299 career home runs. He’ll be the 146th player with 300 career home runs whenever he gets there, which should be soon given the way he’s been swinging the bat. As for Andujar, he has 36 doubles with 39 games remaining. The rookie record is 52 doubles by Johnny Frederick in 1929. The American League rookie record is 47 doubles by Fred Lynn in 1975. The race is on. The AL record seems doable. Getting to 52 will be tough. This was Luis Severino’s best start in a while almost by default. After allowing 31 runs (30 earned) in his last seven starts and 36 innings, Severino allowed two runs in five innings plus two batters Saturday, and it’s tough to blame him for a two runs considering he probably shouldn’t have been out there in the sixth anyway. More on that in a bit though. Severino’s final line: 5 IP, 6 H, 2 R, 2 ER, 2 BB, 8 K on 100 pitches. Or meh. Still too many out over the plate. There were some good ones that broke hard down and away from righties, which is great, but I’d still say only something like two out of every five sliders were nasty vintage Severino sliders. 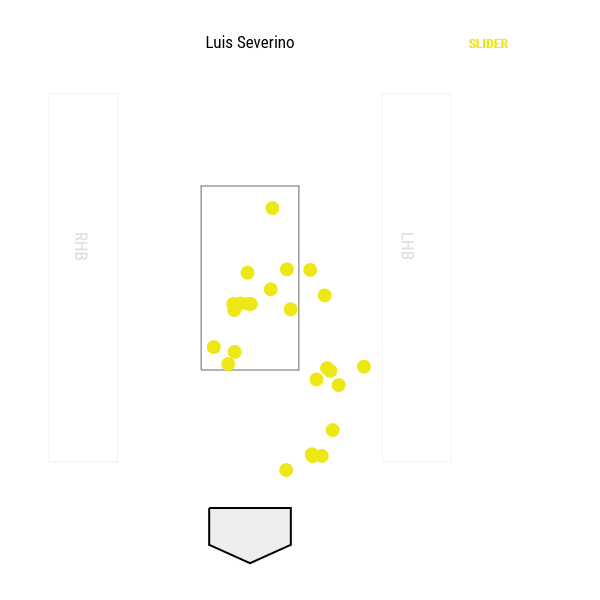 Not counting the two batters he faced in the sixth, Severino needed 96 pitches to get 18 outs against a lineup that was basically Curtis Granderson, Justin Smoak, and seven Triple-A hitters. Eh. That all said, this was Severino’s best start in a while, and he did get hit hard by some yucky lineups (Mets, White Sox, Royals) during that seven-start cold streak, so perhaps we shouldn’t wave away Saturday’s outing against a weak Blue Jays offense. A solid albeit short start, this was. We’re still waiting to see the dominant Luis Severino, though. It’s been a long time since that guy showed up right from the first pitch. I just do not understand why Severino was sent back out to start the sixth. He threw 96 pitches in the first five innings, including 24 in the fifth inning, and hitters had gone 2-for-9 with two walks (.364 OBP) after the lineup turned over. It was a grind. Severino got through five innings with an 8-0 lead, and there’s a nine-man bullpen out there. Okay, fine, call it a seven-man bullpen with Sonny Gray (75 pitches Wednesday) and Chad Green (two innings Friday) presumably available. Still plenty of relievers. Instead, Severino went out for the sixth, Granderson doubled into the left field corner and Gardner bobbled it into a triple, then Smoak stroked a single to right to give Toronto their first round. Severino threw four total pitches to two batters in the sixth inning and gave up two well-struck balls and a run. I just don’t understand why he was even out there in the first place. The Yankees have been talking about given Severino extra rest whenever possible and pushing him for that one extra inning (or one extra out!) seemed unnecessary. Billy McKinney's first hit with the #BlueJays clears the bases. Two things about that inning. One, while sending Severino back out was silly, it’s not Aaron Boone’s fault Kahnle couldn’t retire the likes of Teoscar Hernandez (six-pitch single), Danny Jansen (eight-pitch single), and Richard Urena (six-pitch walk). And two, it’s not Boone’s fault Walker has to play right field. Aaron Judge has been sidelined more than three weeks now and the Yankees still haven’t brought in another outfielder. Asking prices too high? Luxury tax plan in the way? Whatever it is, not added an outfielder at this point is inexplicable. That messy sixth inning turned an easy 8-0 laugher into an 8-5 non-laugher. And ultimately, it did not matter. The Yankees added three insurance runs in the eighth inning with a Bird solo homer, an Aaron Hicks bases loaded walk, and a Gregorius sac fly. Zach Britton and Dellin Betances cut through the seventh and eighth innings and Aroldis Chapman was able to sit down once the Yankees added those three insurance runs. A.J. Cole allowed a run in the ninth inning before closing the door. He’s allowed a run(s) in five of his last six outings. 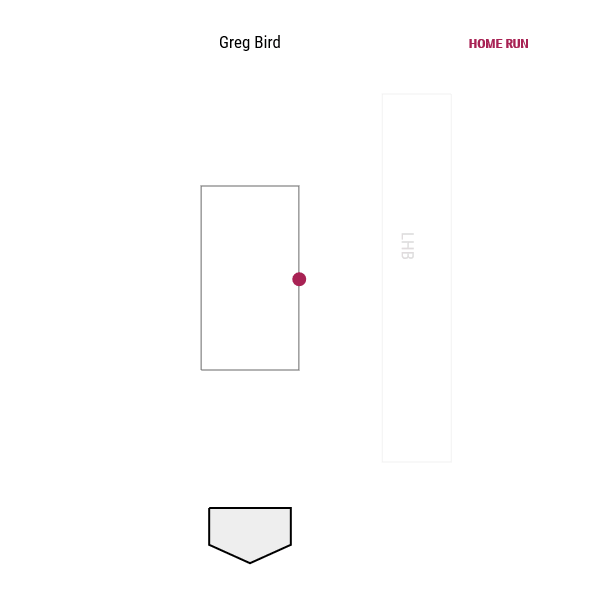 Bird actually turned around a quality fastball for that eighth inning solo homer. He’s had trouble with fastballs lately. It was 94.8 mph and right on the inside corner. Haven’t seen too many quick swings like that from Bird lately. Hopefully it’s a sign he’s coming out of this long funk. I’m going to need to see more before getting optimistic though. Bird has fooled me enough times this year. Every starter reached base at least once except Romine, who had the sacrifice fly and left the game in the fifth inning after taking a foul tip to the face mask. Kyle Higashioka did stroke a single off the bench, however. 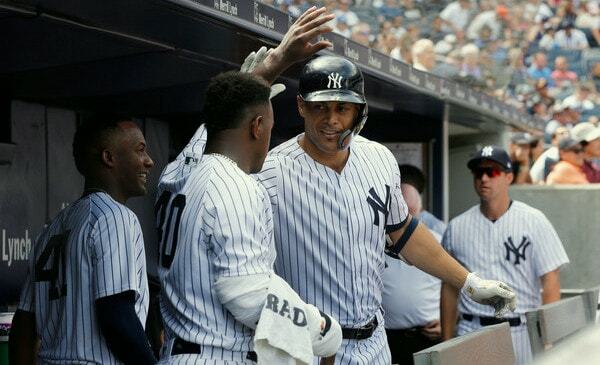 Stanton (single, homer, hit-by-pitch), Hicks (two walks), Andujar (single, double, homer), Walker (single, walk), and Gleyber Torres (two singles) all reached base multiples times. Gleyber is 4-for-11 (.364) in his last three games. Signs of life. And finally, the Yankees scored double-digit runs for the first time since July 9th, in the second game of the doubleheader against the Orioles. They went 33 games without scoring 10+ runs, their longest such streak since … earlier this year. They had a separate 33-gamer from May 25th through June 30th. 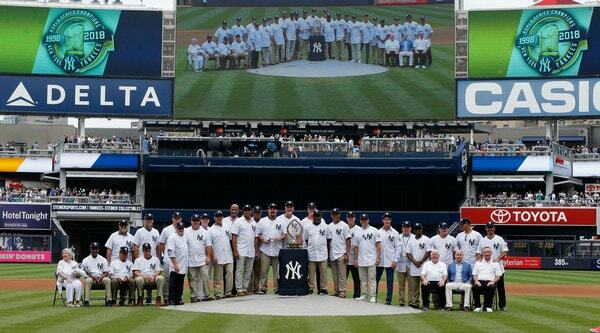 The Yankees did averaged 5.03 runs per game over their last 33 games, which is pretty good. The finale of this long eleven-game homestand. The Yankees and Blue Jays will wrap up this three-game series Sunday afternoon with a 1pm ET game. Former Blue Jay J.A. Happ and rookie southpaw Ryan Borucki are the scheduled starters. Borucki has thrown 52 innings in the big leagues and given up one home run (0.2 HR/9 and 1.8% HR/FB). Let the regression begin.